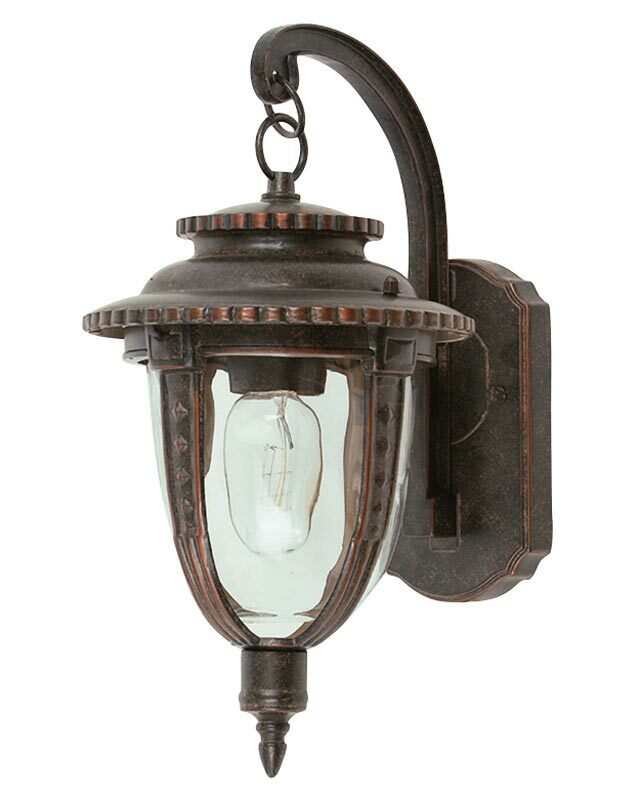 This Elstead St Louis 1 light medium outdoor wall lantern in weathered bronze with rippled glass is rated IP44 and boast traditional American style. Featuring a detailed wall mount, over-arching arm and medium circular hanging lantern, with top eye and brimmed roof. Fitted with hand-blown clear rippled glass pill shade, decorative holder and detailed lower finial. The New England fittings take their influences from different periods dating back to the early 1900s. The weathered bronze finish, hand-blown glass and high quality attention to detail results in products that will add style to any situation. Constructed from cast aluminium and supplied with a manufacturers 3 year anti-corrosion warranty. This guarantee relates to the corrosion of coatings on cast aluminium or steel fittings, and excludes locations within 5 miles of the coastline. Fittings that have been damaged, repainted or cleaned with an aggressive cleaner may be excluded. There is a matching St Loius small outdoor wall lantern available, please see below. This exterior light is supplied by Elstead Lighting, a British company that specialise in the manufacture and distribution of quality decorative lighting such as the St Louis 1 light medium outdoor wall lantern in weathered bronze with rippled glass and rated IP44 you see here.